The 2016 Major League Baseball Draft is fast approaching, and we’re looking at former Under Armour All-Americans who have been drafted by Major League teams and having success at various levels in professional ball as well as the collegiate ranks. Steve Bernhardt, Executive Vice President of Baseball Operations for the Factory provides information on the Factory alumni. The seventh edition of the Under Armour All-America Game, powered by Baseball Factory, turned out to be a tight ballgame, with great pitching performances from both teams. In the end, the American team took the victory, defeating the National team, 2-1. It was a star-studded showcase with immense talent from the 2014 Draft class that have taken different paths to success both in college and professional ball. Seth Beer – What can you say about Seth Beer that already hasn’t been said? Beer concluded a freshman season for the ages at Clemson University, becoming the first ever Atlantic Coast Conference player to win Player of the Year honors as a freshman. 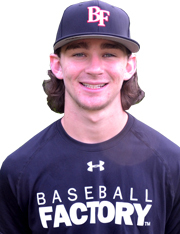 The two-time Under Armour All-American (2014 & 2015) has turned in an incredible season, essentially as a high school senior because he graduated early from Lambert High School in Suwanee, GA. Clemson comes into the 2016 Division I Baseball Championship as a No. 1 seed with a record of 42-18 and overall the No. 7 seed out of the Top 8 in the country. Beer is leading the Tigers in hitting with a .372 average, 12 doubles, 16 homers, 63 RBI, 57 walks and an OBP of .532 (sixth-best in the country). Luken Baker – Baker also concluded one of the best freshman seasons in some time, culminating with being named the Big 12 Freshman of the Year and propelling TCU to a Big 12 Championship win with a walk-off HR in the top of the 10th inning as the Horned Frogs defeated West Virginia, 11-10. Baker also holds the distinction of being the first player in conference history to be named a 1st Team selection at two positions (RHP & 1B). Baker batted .376 (tied for second-best in the Big 12) with 13 doubles, eight home runs, 54 RBI and 53 runs scored (both tops in the conference), to go along with a .484 on-base percentage (second-best in the Big 12). 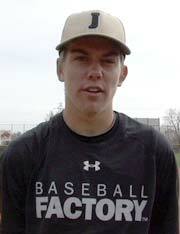 On the mound, Baker was just as dominant, posting a 3-1 mark with a 1.70 ERA in 10 starts over 47 2/3 innings pitched. 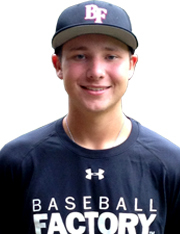 Baker, the 2015 Gatorade State Baseball Player of the Year in Texas was a four-year letterwinner at Oak Ridge High School in Spring, TX, and attended the 2012 Team One Futures Series Texas event before becoming an Under Armour All-American in 2014. In his outing at Wrigley, Baker tossed a perfect inning in the third, striking out two batters. TCU, also a No. 1 seed in this year’s NCAA Men’s Baseball Championship, will face off against Oral Roberts in the Super Regionals. Cal Raleigh – The freshman catcher from Cullowhee, NC put together a fine regular season in 2016, named to the ACC All-Freshman Team for the 37-20 Seminoles this season. 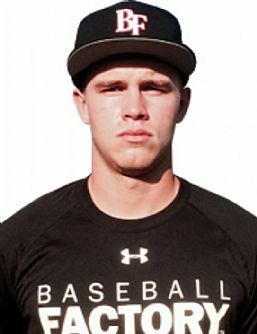 The 2014 Under Armour All-American made 56 starts (played in 57 games overall), hitting .301 with 15 doubles, one triple, nine home runs, 47 RBI, 35 walks and 39 runs scored. At Smoky Mountain High School, Cal was named the Western North Carolina Conference Player of the Year and Male Athlete of the Year as a senior. The Florida State Seminoles, a top seed in this year’s NCAA Baseball Championship, will face Alabama State in the Tallahassee Super Regionals. 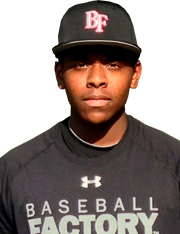 Ke’Bryan Hayes – The 2015 graduate from Concordia Lutheran in Tomball, TX went 32nd overall in last year’s Draft and was an Under Armour All-American and a Pre-Season All-American in 2014. 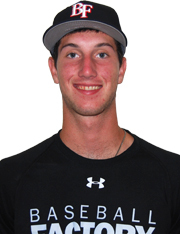 He also attended the Futures Series Texas events in 2012 and ’13 and the 2014 Under Armour Firecracker Classic. With Single-A West Virginia, Hayes is hitting well for the Power, batting .273 with seven doubles, five homers, 28 RBI and four stolen bases. 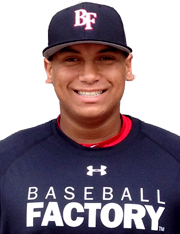 Josh Naylor – Selected as the 12th overall pick by the Miami Marlins last year out of St. Joan of Arc Catholic in Mississauga, Ontario, Canada, much was expected of the power-hitting left-hander and he has delivered through his first 73 professional games. Naylor went 1-for-4 with a double and a run scored for the National team in the ’14 game and with Single-A Greensboro, the 19-year old first baseman is hitting .260 with 11 doubles, two triples, six homers, 33 RBI (tied for third-most in the SALLY League) and showing off some speed with six stolen bases in 48 games for the Grasshoppers. Brendan Rodgers – The third overall pick in last year’s Draft by the Colorado Rockies is off to a fast start for Single-A Asheville in the SALLY League and getting it done as a 19-year old. Rodgers is hitting .309 (eighth-best in the league) with 12 doubles, eight homers (tied for second-most) and 33 RBI (tied with Naylor for third-most). His .546 slugging percentage is second-best and his .921 OPS is good for fifth-best in the league. Rodgers was a member of the American team during the 2014 Under Armour All-America Game and is a graduate from Lake Mary High School in Lake Mary, FL. 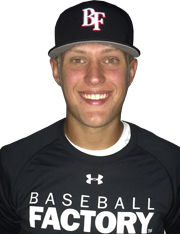 Kyle Tucker – Yet another outstanding All-American selected within the first 15 picks in last year’s Draft, Tucker went fifth overall to the Houston Astros out of H.B. Plant High School in Tampa, FL. Tucker played right field in the ’14 game and contributed with the bat, going 1-for-2 with a run scored (one of two in the 8th inning that game the American team the lead) in the victory. Playing for Single-A Quad Cities, Tucker is hitting .293 with nine doubles, three triples, one homer, 28 RBI and 22 stolen bases (tied for most in the Midwest League) with another former Under Armour All-American, Michael Gettys.